Brisbane ( /ˈbrɪzbən/) is the capital and most populous city in the Australian state of Queensland and the third most populous city in Australia. Brisbane’s metropolitan area has a population of 2.15 million, and the South East Queensland urban conurbation, centered on Brisbane, encompasses a population of more than 3 million. 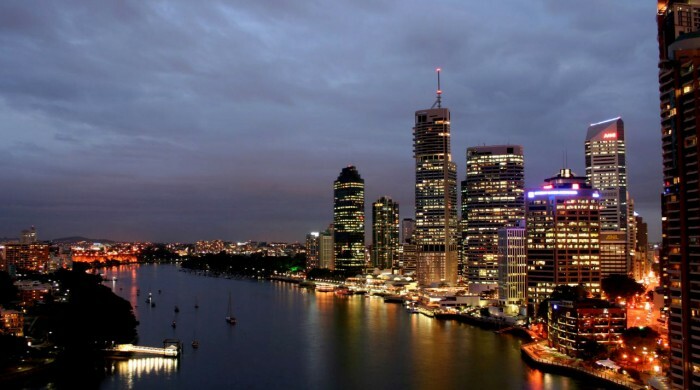 The Brisbane central business district stands on the original European settlement and is situated inside a bend of the Brisbane River, approximately 23 km (14 mi) from its mouth at Moreton Bay. The metropolitan area extends in all directions along the floodplain of the Brisbane River valley between the bay and the Great Dividing Range. While the metropolitan area is governed by several municipalities, a large portion of central Brisbane is governed by the Brisbane City Council, which is by far Australia’s largest Local Government Area by population. The demonym of Brisbane is Brisbanite.